Wisconsin Governor Scott Walker talks with Iowans at the GOP Convention. Wisconsin Governor Scott Walker this morning said nothing has “improved” his opinion of Donald Trump more than Trump’s decision to choose Indiana Governor Mike Pence as a running mate. 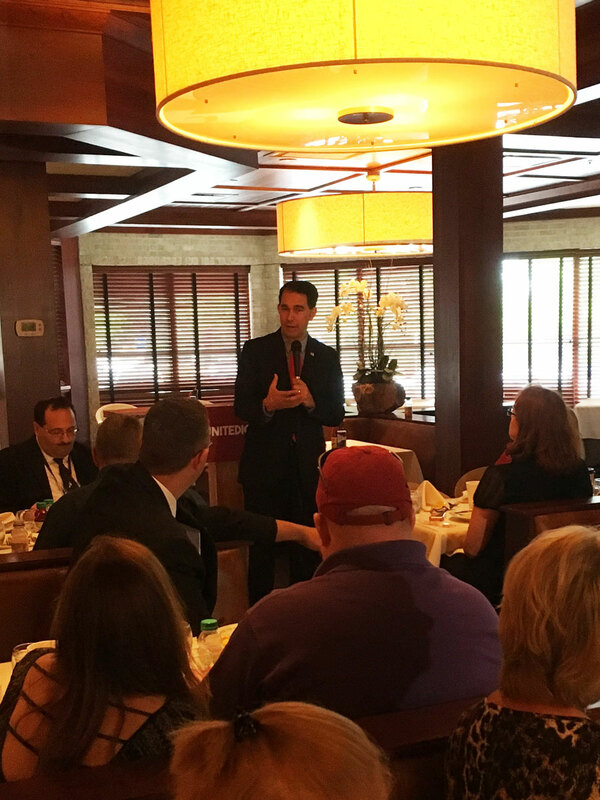 Walker spoke this morning to the Iowa delegates attending the Republican National Convention in Cleveland. Walker dropped out of the 2016 presidential race in mid-September of last year, before the voting began. Walker said he pledged nearly a year ago during the candidate debate in Cleveland that he would support the party’s 2016 presidential nominee. Wisconsin Governor Scott Walker visited Iowa delegates in Cleveland. Walker spoke to the Iowa delegates for about 15 minutes. “Have a great party at the convention and we’ll see you back in Iowa,” Walker said at the end of his remarks. Walker spoke with reporters after his speech and didn’t rule out another run for the White House. If Donald Trump loses in 2016, Walker indicated he will not run for president again in 2020. 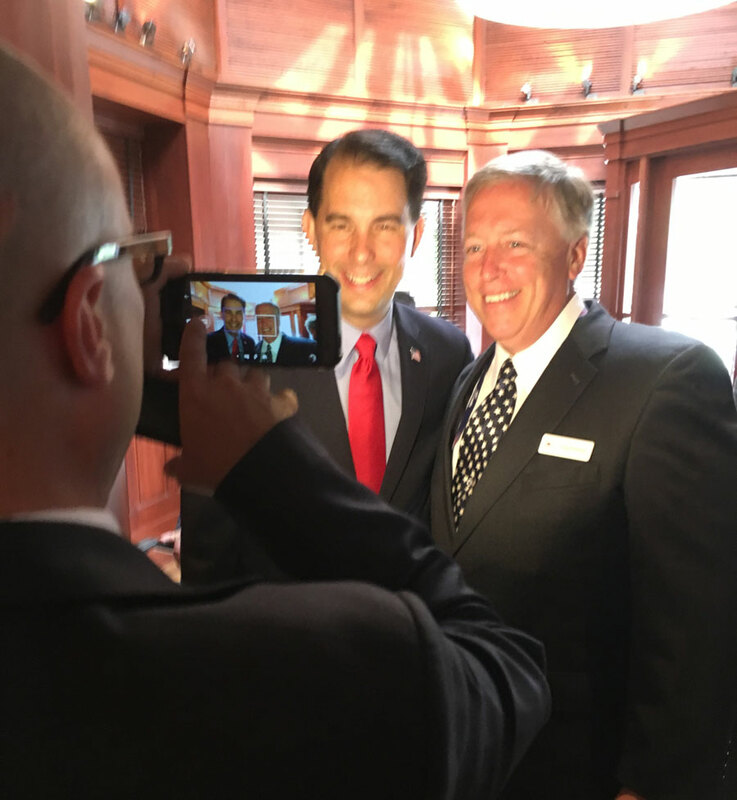 Walker was in Des Moines last weekend for the National Governors Association summer meeting. He met with a group of Iowans who supported his short-lived 2016 presidential campaign for an outing at the Iowa Cubs game.